Season two of Homicide for the Holidays is coming later this month. The second season of the Oxygen series will premiere on November 25. Oxygen revealed more about the return of this series in a press release. Check that out below. “Oxygen Media, the new network for crime, unwraps season two of Homicide for the Holidays premiering Saturday, November 25 at 6pm ET/PT. The limited series will examine five heart-wrenching cases where family holidays take a drastic turn. On Christmas Eve in a quiet town, elderly couple Bob and Idella Young are brutally slain at home. A bloody glove found at the crime scene has the killer’s DNA, but no one matches the sample. How do detectives solve this mystery? 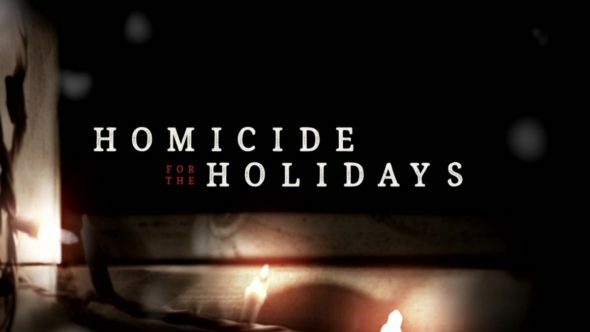 Will you watch Homicide for the Holidays? Tell us what you think.